“Let’s Talk Beer Styles” is a monthly feature that accompanies Paste’s large-scale blind craft beer style tastings/rankings. The first month covered the history and modern role of American pale ale, and the next few subsequently tackled Black IPA and Belgian quadrupel. The latest covers pilsner, of which we just blind-tasted 62 examples. Writing a general, catch-all piece on the beer style known as pilsner is a fairly daunting task. This one style is many things to many people. It’s steeped in very well-documented history—certainly much more so than a style such as India pale ale, whose historical record is always fomenting argument. It’s the most widely imitated beer style on Earth, and yet has at times in U.S. history been bastardized almost beyond recognition. It’s a style with a love/hate relationship within craft beer itself—you’ll find a seemingly equal number of craft beer fans who either love classic pilsners or simply associate the style with the macro enemies of the craft movement. It manages to simultaneously be one of the most consumed and controversial beer styles. And that’s sort of a shame, really, because a great pilsner is supposed to be a thing of beauty and deceptive complexity. The classic German and Czech varieties are hoppy, expressive, fascinating lagers that drove the explosion of the beer industry during the industrial revolution, before being dumbed down into a marketing buzzword. Even after several decades of craft beer booming in the U.S., there are still too many beer drinkers who simply equivocate the word “pilsner” with the likes of Miller Lite, which doesn’t even come close to meeting the guidelines of the style. So hopefully within this piece I can give you a better idea of what “pils” actually means, and what their role is within the modern craft beer landscape. Pilsner was unsurprisingly born in the Czech city of Pilsen, in the country’s Bohemia region, in 1842. Unlike historical ale styles such as porter or pale ale (as already mentioned), the more modern historical record for pilsner presents us with a very clear ur-beer: A classic of the genre still produced today, Pilsner Urquell. This is indisputably the first beer to carry the name, but it was hardly the first beer in the region. Beer had been produced in Bohemia for hundreds or perhaps even 1,000 years before the advent of pilsner. Most of these were somewhat nebulous ale styles that we would find difficult to categorize today, many of which were brewed with gruit herb mixtures instead of hops, but lagers had also been produced in Bohemia since at least the 1400s—predominantly being lagered in subterranean caves, which had the consistently cool temperatures necessary for bottom-fermenting yeast. One thing that all of these beers had in common, though, was that they were darker in color by necessity. Malting and kilning technology had not yet evolved to the point of producing kilned pale or pilsner malts, so brewing a golden beer of any real strength was more or less impossible. These advents in malting technology finally arrived from England in the early 1800s, at the same time that the English were using lighter malts to pioneer their own new style, pale ale. At this same time, local brewers (and drinkers, according to legend) had grown dissatisfied with an overall low level of beer quality in Bohemia brought on by various shortages and a loss of knowledge and technology in the generations following the destructive Thirty Years’ War. Whatever the reason, what is known is that in 1838, 36 barrels of local beer in Pilsen were deemed undrinkable and dumped out in the town square, leading to the formation of a state-owned brewery originally named Mestansky Pivovar (Citizens’ Brewery), which eventually would become Pilsner Urquell. The combination of their increasingly modern technology with new malt, local hops, a new bottom-fermenting lager yeast strain from Bavaria and skilled brewers made for a beer that was revolutionary: The first true pilsner, a product created by a confluence of factors all happening at exactly the right time. Suffice to say, pilsner quickly became a sensation for its novel appearance, much greater clarity (brought on by cold-aging) and hop-forward flavors. Its emergence also happened to coincide with huge advancements in the field of glass manufacture, meaning that pilsner was simply lucky enough to come along at a time when many families could afford glass drinking vessels for the first time—the perfect glassware to display the clarity and brightness of pils. Within only a couple decades, the new style had spread throughout Europe via countless imitations. In 1871, Pilsner Urquell was first exported to America, where German immigrants quickly co-opted the style and began brewing the first American-made pils. One of the best-known imitators, a little beer known as “Budweiser,” arrived soon after in 1876. Some drinkers don’t realize that just saying “pilsner” doesn’t necessarily tell one everything about a beer, or what to expect when drinking it. There are several prominent sub-styles within pilsner, which I’ll run through here. If an American craft brewer calls their beer a pilsner, it may theoretically represent any of these styles, although it will most likely be one of the first two. The original pilsner is obviously Czech pils, as discussed above. There are several important style guidelines in making Czech pils, but the two biggest are this: Soft water and Czech Saaz hops. The water of Bohemia, and of Pilsen in particular, is legendarily soft, with an extremely low amount of dissolved solids and minerals—about 50 ppm, vs. the hard water profiles of Burton, England (1,200 ppm) or Dortmund, Germany (1,000 ppm). This makes for a beer that is very gentle on the palate, allowing subtle malt flavors to shine and hop bitterness that finishes quickly rather than lingering. In general, soft water makes each individual ingredient easier to pick up, which also aids in creating clean, expressive hop aromatics. That last bit is important, as Czech pils is also defined by the Saaz hop, which provides a uniquely spicy, almost peppery/herbal buzz. Saaz can be hard to describe/quantify, but once you know what it tastes like, there’s no missing it. All in all, Czech pils tends to be the most hop-forward of pilsner styles, but because of the softer water, that hoppiness may not necessarily translate into a lasting or bracing bitterness. They bear little resemblance to the bastardization of “pilsner” that American drinkers were inundated with between 1933 (the end of Prohibition) and 1978 (when homebrewing was legalized in the U.S.). There are some different German pils substyles throughout the country, and other styles that blur the line between pilsner and other lagers (such as helles or general “kellerbier”), but in general, German pilsners tend to be a touch drier and maybe a tad lighter than their Czech cousins. This is particularly true in Northern Germany—the farther North one goes, the drier and crisper the pilsners tend to be. The biggest difference, though, outside of water chemistry, is that German pilsners typically use German noble hop varieties, especially Hallertauer and Tettnanger. These styles tend to impart a subtle but noticeable difference in hop aroma and flavor—significantly more floral/flowery/grassy and sometimes “green” in character, and without the telltale peppery note of Saaz. In terms of assertiveness, they can be just as aromatic as Czech pilsners, but they can also be much more restrained or balanced with very light malt. German pilsners do run the full range in this way. Fun fact: Sam Adams’ Boston Lager also uses Hallertauer and Tettnanger as its signature varietals, so one could more or less say that if not for some added crystal malt, it would essentially be a German pilsner. Along these same lines, “German pilsner” is probably the sub-style aped most often by the American brewing industry, both by craft and macro breweries. Both Anheuser and Miller classically referred to their flagships as “pilsner,” and Miller in particular still occasionally uses the word to describe Miller Lite, but despite being “triple hops brewed,” it doesn’t qualify in the least for the style. True pilsners are all-malt beers with no adjuncts (rice in Budweiser, corn in Miller) and far more relative malt and hop flavors—especially hops—than anything Anheuser, Miller or Coors dares to produce. Both American craft breweries and craft drinkers have a complicated relationship with pilsner. There was a time, earlier in the craft brewing revolution, when the style itself was somewhat demonized as the personification of Big Beer and craft beer’s enemy, and many beer geeks turned their noses up at the idea of drinking pils when they could be drinking DIPA. However, as time has gone by and the average drinker has become more aware of the true origins and nature of pilsner, that perception has largely softened, and more breweries have turned to them as a requisite “lighter option” that still has character. In American craft brewing, pilsners are now common, but they differ greatly from the regionally influenced pilsners of Europe because there’s absolutely no consensus in America on what a pilsner should taste like. Some breweries make Czech-style pils; others German; and others hybrids that split the difference. Some, such as Atlanta’s own Three Taverns, carpet-bomb their pilsner with American hops, evoking a lagery spin on IPA. Others emphasize drinkability to the max and may use adjuncts such as corn, specifically choosing to emulate the likes of Budweiser. There’s even a large amount of “pseudo-pils” on the American market these days made with ale yeast but classical pilsner malt/hop profiles—a cheaper and faster alternative, given that lagering ties up fermentation space that young breweries can’t afford to sacrifice. The point is, when you see “pilsner” on the draft list at an American craft brewery, it’s hard to know in advance exactly what that will imply. This is made all the more obvious by our just-released blind tasting of 62 pilsners. And of course, given that this is the American craft beer market we’re talking about, modern American pilsner is also subject to plenty of experimentation, including barrel-aging. Just earlier this month, Paste beer writer John Verive was floored by a gin-barreled twist on Half Acre’s Pony Pils at the Firestone Walker Invitational. That’s about as far as one can get from the original concept of pilsner, and perfectly indicative of how thoroughly beer styles get transmuted in the American craft beer scene. The one constant, though, is that most craft pilsners still tend to be relatively modest beers in terms of beer geek attention. Like most low-gravity styles, they simply don’t get cults of personality or become hot trade bait. There are essentially no “whales” within pilsner. 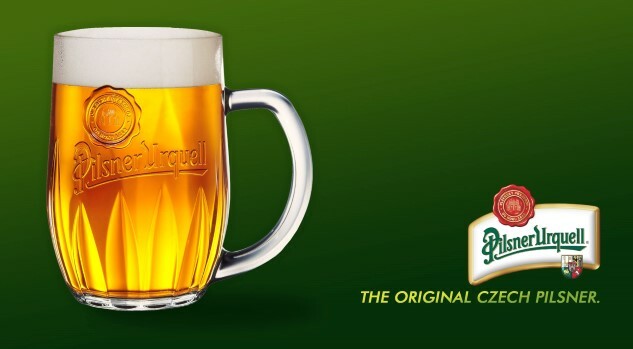 Obviously, Urquell is always going to be a must—at 174 years and counting, it’s one of the world’s oldest beer brands. As someone who grew up on the South Side of Chicagoland, this is a beer that I remember being around from a young age, thanks to a sizeable German and Polish population. It was often available as one of the only non-Miller beers at Comiskey Park, home of the White Sox, and may well have been the first beer I ever legally bought at a baseball game. Today, the quality of Pilsner Urquell does tend to vary—we honestly didn’t much care for it in the blind tasting, but it’s hard to know how fresh our sample was, plucked off the racks at a local package store. It’s a beer that evangelists will always say needs to be consumed fresh, and ideally unfiltered, in the Czech Republic itself. If you do find one of the bottles/cans that is fresh and not light-struck, the beer is a fair example of a classic Czech pils—lightly bready, mildly toasted malt with very balanced, not particularly assertive grassy and spicy Saaz hops. It doesn’t reinvent the wheel, it just does what it’s been doing for 174 years. It would be really, really difficult for this Georgian lager to be any more different from Pilsner Urquell while still carrying the name “pilsner.” Indeed, it carries such a charge of American hops that it completely obfuscates the line of what “pilsner” actually means. Extensive dry-hopping with Falconer’s Flight 7cs imbues a crisp malt body with waves of citrus and tropical fruit notes—it simply isn’t the pilsner you’re expecting when you see the label. It’s almost like a “hop-bursted” beer, with minimal bittering instead giving way to increased aromatics and juicy, fruity flavors. So what is it? A session-strength India pale lager? Ultimately, it doesn’t matter. Prince of Pilsen is a prime illustration of how many meanings “pilsner” really has. The #1 pilsner of our blind tasting, Stammtisch is the product of the German beer style geniuses over at St. Louis’ Urban Chestnut, who we recently called the most underrated brewery in Missouri. Like most of their beers, it’s not outstanding on one specific level but instead the product of careful craftsmanship across the board. It’s a very traditional German pilsner; it’s just the execution that sticks in one’s mind, from the lightly bready, doughy maltiness to its floral hop bouquet. If a beer such as Prince of Pilsen is the logical end product of a style like pilsner being co-opted by the American craft brewing movement, then Stammtisch is evidence of the opposite—the craft community’s reverence for its history but simultaneous dedication toward continuing to refine those classic styles. More than 174 years after the creation of the first pilsner, it’s a beer that convinces the drinker of the style’s continued vitality. Jim Vorel is Paste’s resident beer guru, and he’s deep in the pilsner-soaked dog days of Georgian summer. You can follow him on Twitter.